It is a sad announcement for me to make, but I’ve recently flown the coop and am no longer managing the Freebooter Volunteer GM Program, nor the Events coordination for Gen Con and other shows. I resigned a bit ago, but we all felt like it was good to say goodbye to the community and offer a very hale welcome to Veronica Templar, your new Events/Freebooter Manager! I’ve been very lucky to be working with Team Ronin these years, and it’s been a great pleasure to coordinate events with so many great volunteers. Green Ronin couldn’t be happier with the quality of volunteers, both some of our long standing Freebooters and with so many new folks. You’re what makes all the organizing such a pleasure. For my team, I will miss you all greatly. You’ve been my biggest supporters, friends, and I love the hell out of you all. Luckily, most of you are in my local area, so I will get to see you for games and shenanigans. I cannot thank you all enough for the opportunities you’ve given me. Where am I going? Catan Studio! I accepted a position managing the Organized Play program. You’ll still see me at shows, but you’ll need come to the Catan Event Hall to say hello! I’ll be busy running the tournaments and overseeing events, but I am always happy to take a moment to catch up and hear about your games. I’m also still running OrcaCon, the inclusive tabletop games convention, outside Seattle. It’s the Unofficial Green Ronin Convention, and you’ll find most of the staff there each year. We’d love to see some of you come run games for Green Ronin Publishing. So, things aren’t all sad around here, I’d like to tell you about Veronica! She is amazing and I am so excited she is on board to organize events and Freebooters. 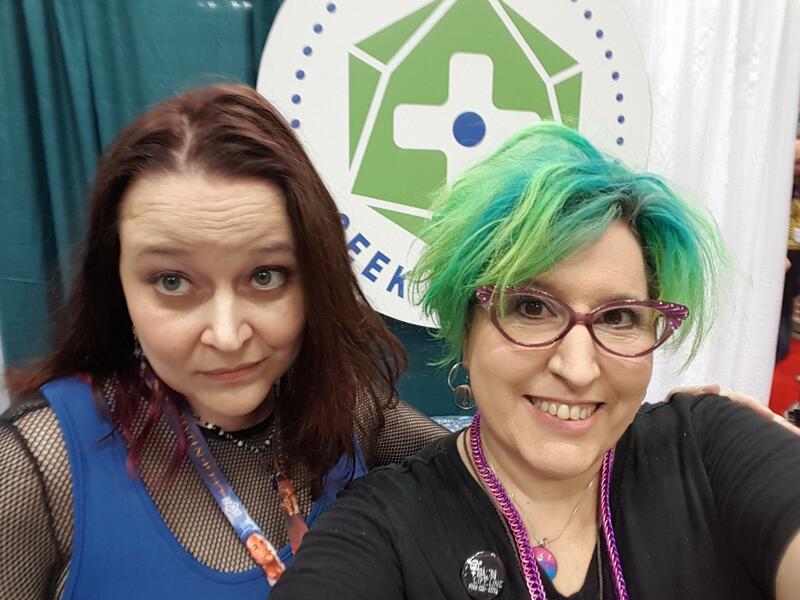 She’ll be growing the Freebooter Program, and we’ll be looking for more Freebooters at shows Green Ronin Publishing will be attending. You can read more information on the Freebooter Volunteer Info Page, and the team will be updating it as they start reaching out per show. So, if you haven’t made it to a Gen Con, maybe you can support Origins, UK Games Expo, Norwescon, OrcaCon, and more! Veronica is a great organizer and has a very kind heart. I hope you give her the same love and enthusiasm you’ve shown me. And patience, as she learns her new role! If you’re interested in signing up as a Freebooter, hop over to that Info Page and fill out the form. She’ll be getting back to folks as we start booking the shows. Thanks again for the years of support, not just from our Community, but from the Green Ronin Publishing Team. Go forth and be amazing!